Building with the environment in mind isn’t just about using green materials, using land efficiently, and reducing waste. It’s also about lifestyle. 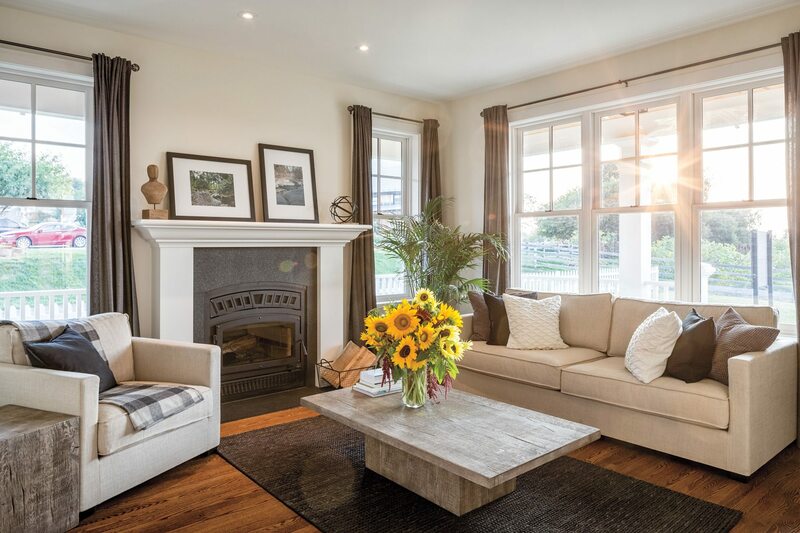 Whether we’re talking a multi-generational farmhouse, an urban co-operative created for retirees, or a development based on villages of years past, these new builds laud the notion that there are no rules when it comes to rethinking how we want to live. 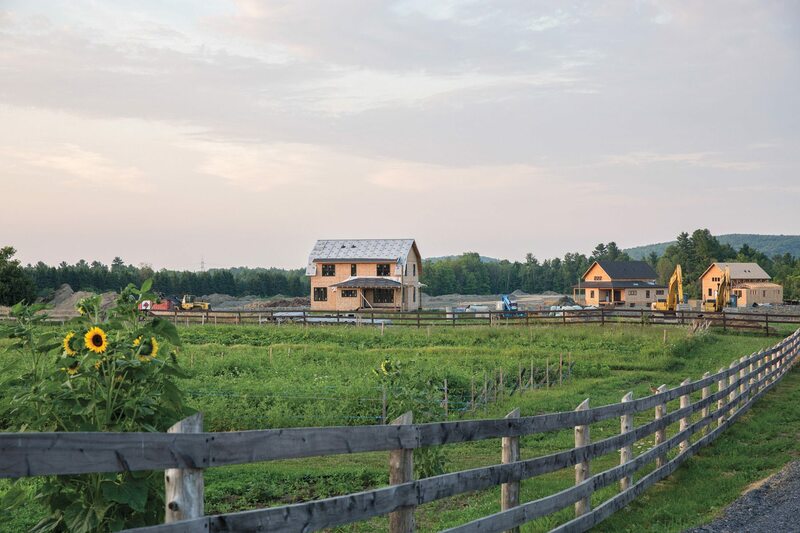 Each design speaks to new — or revisited — approaches in construction while making community the central focus: Juniper Farm’s rammed-earth dwelling; Sustainable Living in New Edinburgh, and Hendrick Farm’s new old farming village. The division between the outskirts of Gatineau and the municipality of Chelsea to the north has narrowed considerably over the past two decades. Vince Hendrick worked the last undeveloped piece of land between the two regions until just a few years ago, having inherited it when he was 15. Now nearing 90, he’s no longer farming, but the land is still producing an abundance of food. 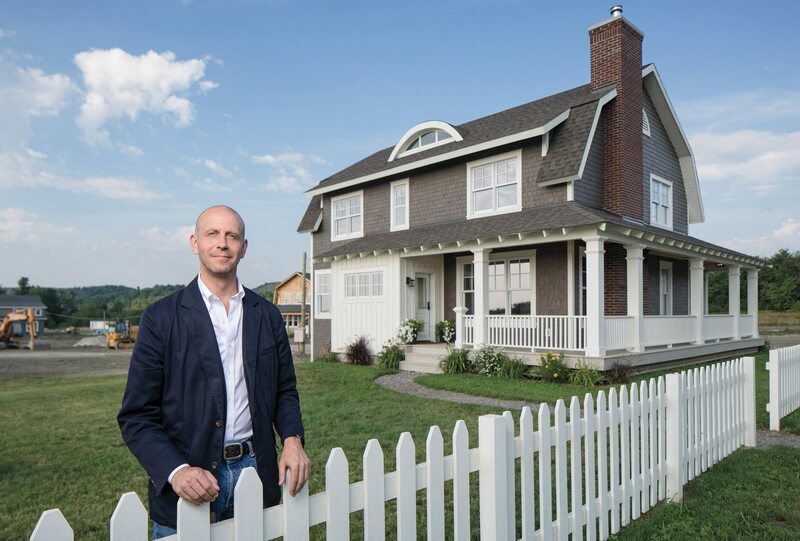 When Sean McAdam first approached the Hendrick family in 2004 about buying the farm, he did so with a plan that throws the idea of a suburb on its ear. Most developers scoop up acres of green space, raze it, and then fill it with dozens of identical townhouses. The Hendrick Farm development leaves that concept in the dust. That said, working with the municipality of Chelsea turned out to be a very positive experience. “We’re lucky,” says McAdam. “We have [in the municipality] two planners who are also architects. So aesthetics are important. Walkability is important.” If McAdam was prepared to break the mould of the proverbial suburb, Chelsea was prepared to go along for the ride. McAdam started the design process from an unusual point of view, asking what the land was saying rather than what conventional zoning might dictate. In the pre-suburb era, communities most often began with a farm. Then a church would be built on the land. Then houses would begin to appear. “There was no overall plan,” says McAdam. Starting from that notion, the concept for Hendrick Farm began to emerge, and it came with three distinct ideas for housing: those within the village proper; the farm properties that look out over the working farm; and the park properties, the most separate and private of the houses. McAdam says he has been dreaming about creating a community like Hendrick Farm for 15 years. “I was never trained as a developer or planner or architect or farmer,” he says, “and I think that helps.” He may be onto something. By focusing on efficiency, good design, and lifestyle — rather than just the bottom line — McAdam had people buying into the 300-house development four years before the first house was ready in October 2016 (the full community is scheduled to be completed by 2026). It isn’t hard to see why. The floors, baseboards, banisters, front porches, and even the porch ceilings are real wood. The ceilings are nine feet high, so even though the biggest house in the development is a modest 2,250 square feet, it feels much larger. 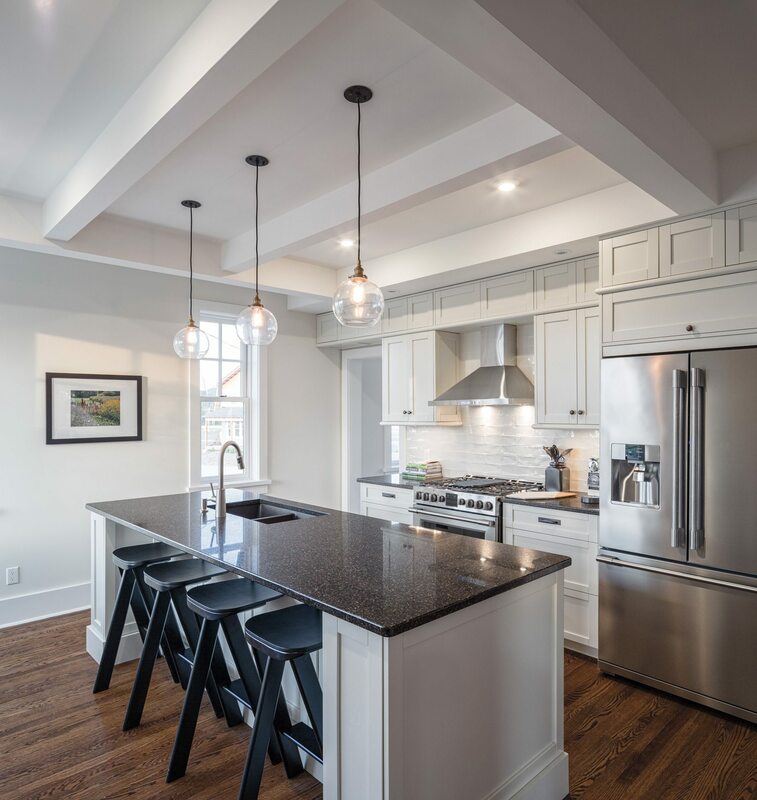 The builder is local, while key materials and cabinetry were sourced from local suppliers. The price of the houses starts at just under $600,000. The idea is that residents aren’t simply buying a house but will be moving into a vibrant community surrounded by amenities. The farm store is within walking distance of everyone, as is the village of Old Chelsea. The Gatineau Park trail system is within spitting distance, and Ottawa is less than a 15-minute drive away. 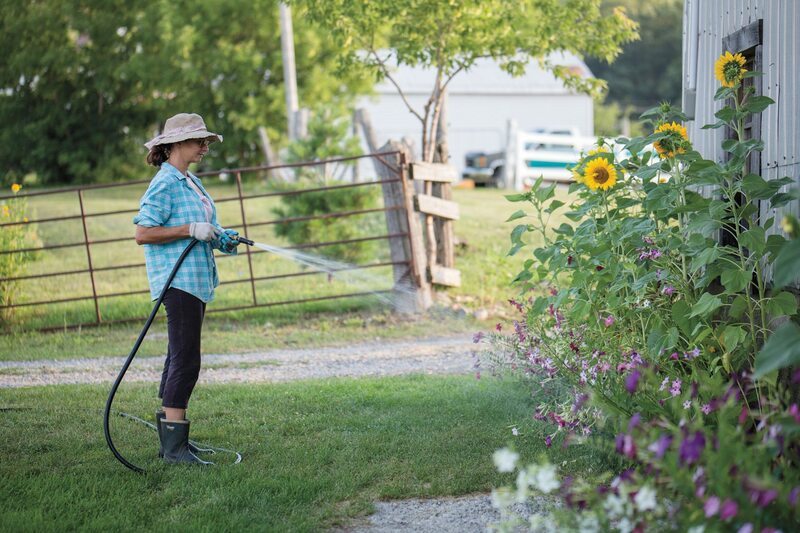 Hendrick Farm started off as a farm and is about to become a full-fledged community that lives on a farm. McAdam may not be a developer or planner or architect or farmer (“I’m constantly embarrassing the farm team because I’ll look at a zucchini and call it a cucumber”), but he is a forward thinker. Others would do well to look at what can be accomplished with some innovative thinking and chutzpah.